Do you notice that your cat is straining in the litter box, vocalizing or crying out when urinating? Showing an increase in the frequency of urination? Has a loss of appetite or is vomiting? Blood in the urine? These may be signs that your pet may be developing or has a urinary obstruction. Urethral obstruction or FLUTD (obstructive feline lower urinary tract disease) is a common occurrence in male cats. One of the causes can be sterile cystitis or an inflammation for the bladder wall. Debris in the urine may also plug the urethra. What may cause the inflammation of the bladder is unknown, but it may be due to a stress response or even an insufficient amount of water being taken in by your kitty. 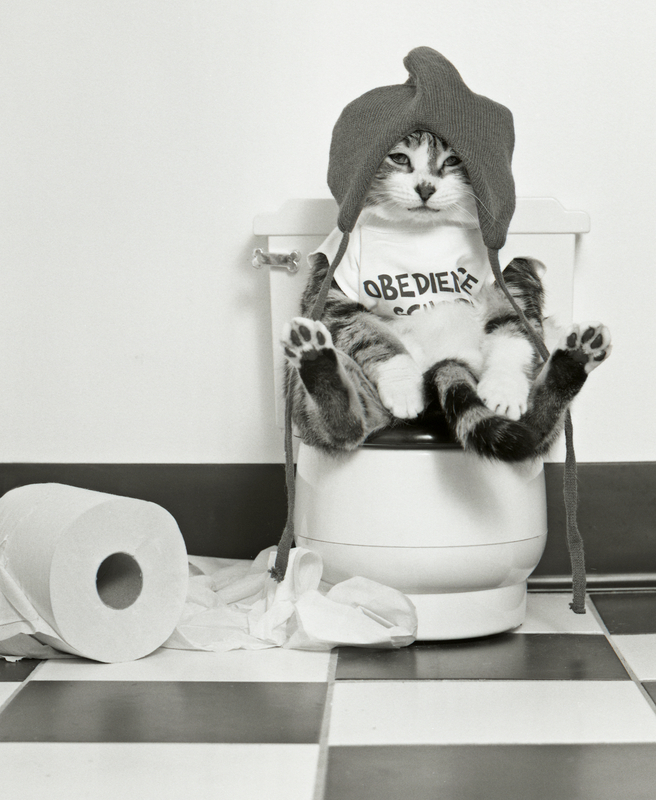 Believe it or not your cat can associate painful urination with the litter box as well and stop using it. However, increasing water consumption for your cat is something that can easily be accomplished with some simple steps. Firstly, providing multiple water bowls throughout your home filled with fresh water that are large enough to accommodate your cats whiskers so that they will not touch the sides of the bowl can aid water consumption. Additionally, some cats prefer drinking water from a moving source. In that case we would recommend a pet water fountain rather than leaving the faucet dripping. Perhaps if needed you can also add small amounts of tuna water to the water bowl, making it more palatable for our finicky friends. Decreasing stress is another way we can help prevent/manage FLUTDS and bladder health problems. Keep to a routine, i.e. feeding your kitty at the same time, even spending time playing with your kitty while you are at home can help alleviate stress. In addition, leave them with toys or a kitty condo so they can romp around when you are out and about. The litter box should be placed in a quiet, well ventilated place and changed frequently as most cats may be hesitant to enter a litter box that in their eyes is unattractive. If you cat is NOT urinating freely it is imperative that you bring him/her in immediately as it may be life threatening.